Watch: Senior Fatah official Jibril Rajoub confronts Border Police officers at the Cave of the Patriarchs. Senior Fatah official Jibril Rajoub was filmed on Wednesday as he verbally confronted Border Police officers at the Cave of the Patriarchs in Hevron. Rajoub was filmed at the exit to the compound as he was yelling at a Border Police officer: "Do not threaten me, calm down, what a madman you are, do not shout at anyone." Rajoub is no stranger to controversy. He has in the past said that Jews deserved the genocide inflicted on them by the Nazis. Prior to that he declared that if the PA had a nuclear bomb, it would use it against Israel. More recently, Rajoub exploited his entry to Israel in order to visit the family of terrorist murderer Karim Younes, an Israeli Arab who, together with his cousin Maher Younes, kidnapped and murdered Israeli soldier Avraham Bromberg in 1980. Palestinian Media Watch exposed that in a post on his Facebook page, Rajoub took pride in having visited the murderer's family in the village of 'Ara, and he posted pictures of himself with the family members. 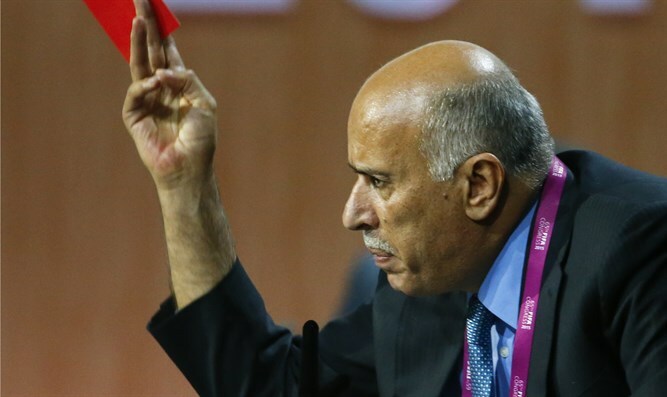 In addition, Rajoub in recent years campaigned to have Israel suspended from FIFA because, he claimed, Israel was restricting the movement of Palestinian Arab players.